← Lots of new jewelry in stock! Its been a little while since we’ve had an update, so here is a little bit of everything. We apologize for the delay. 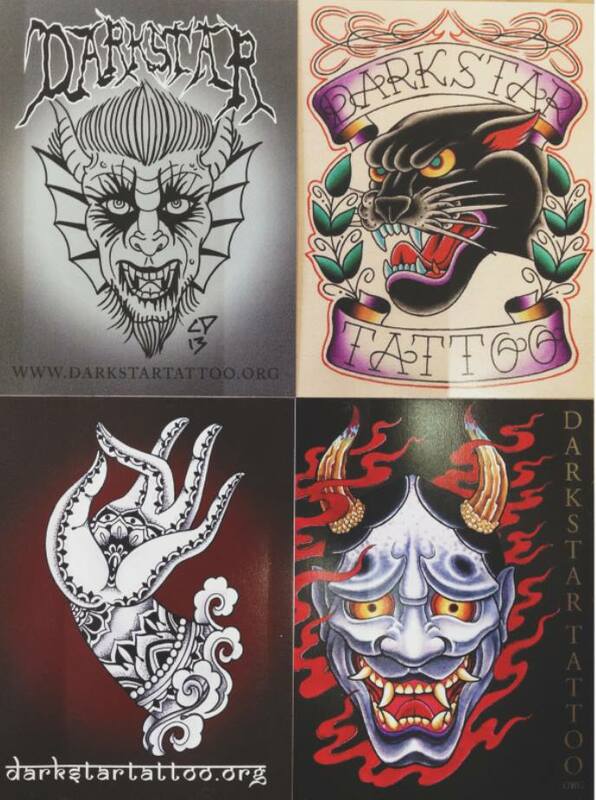 In the meantime if you aren’t already, be sure to follow us on Instagram @darkstartattoo, and on facebook for updates between or normal blog posts. First off, we got some rad stickers in stock. 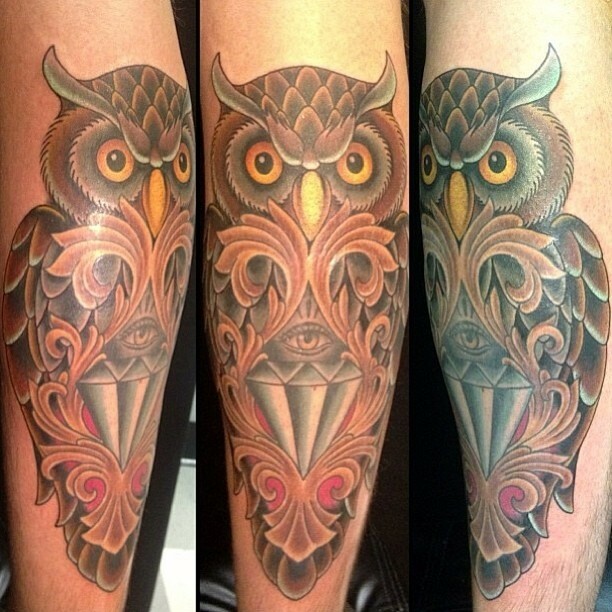 each artist did their own and we have a limited amount so be sure to come in to get some soon before they are gone! clockwise: Cory, Jordan, Steve, and Troy. 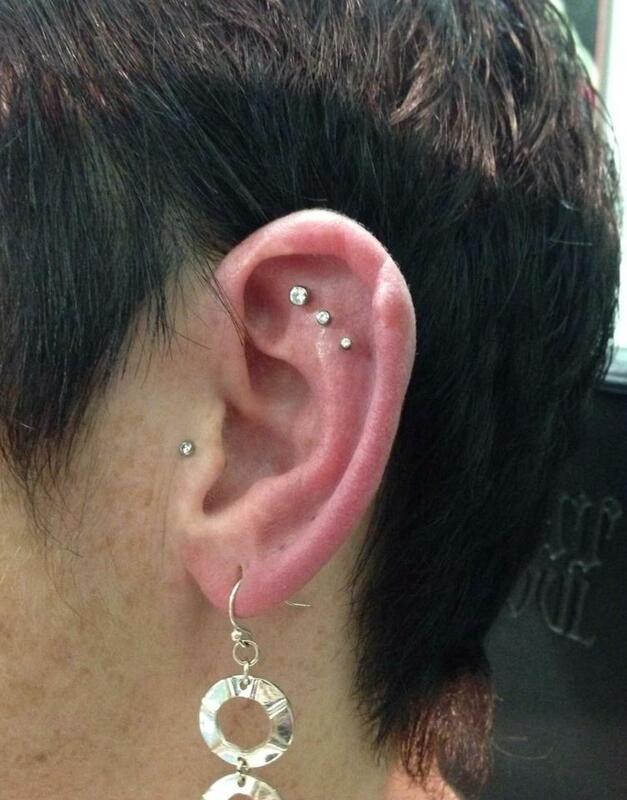 Here is an awesome triple Helix piercing from Corey DeMelo, our new junior piercer! This piercing was done using Neometal bezel ends 1.5mm – 2.5mm CZs. 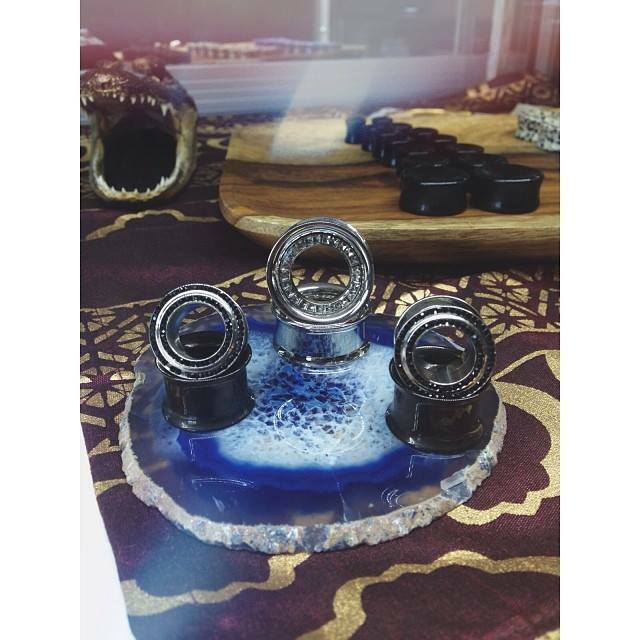 We have also drastically increased/changed our jewelry selection. We now have more Industrial strength, neometal and a vast range of large gauge organic jewelry(4g-1″). Everything from wood, jasper, obsidian etc. Last but not least, some recent ones from the guys. 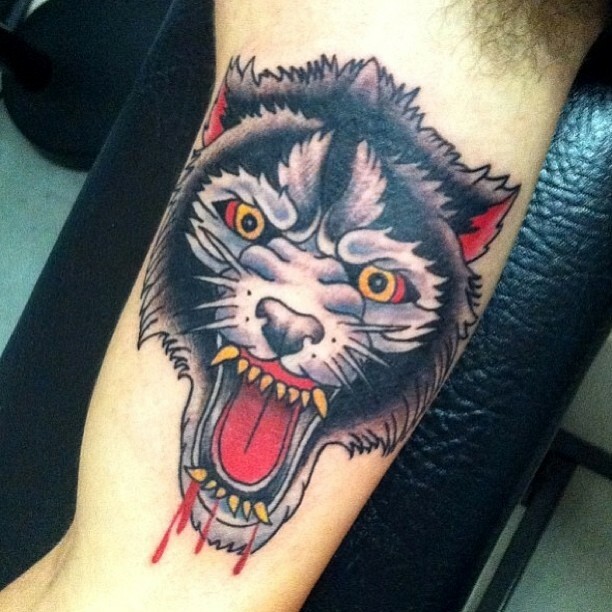 Heres an awesome wolf from Cory. 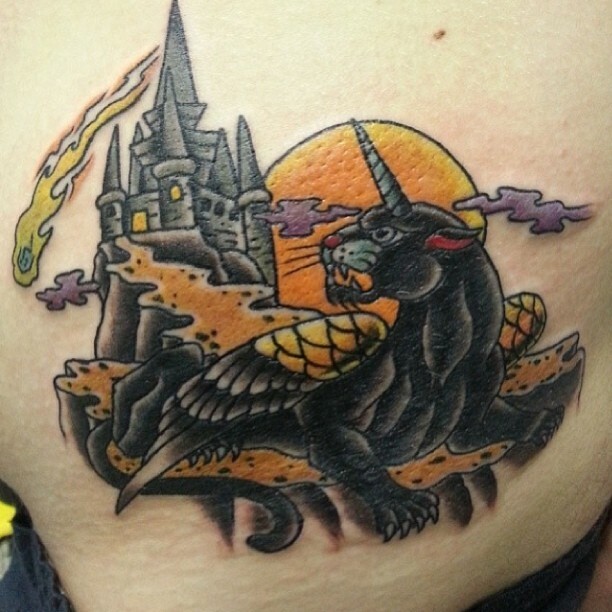 A winged panthercorn standing majestically in front of his forgotten castle from Jordan This Freehand owl, added to the existing Diamond Steve had previously done.